Poland is situated in Central Europe between the Baltic Sea in the north and the Carpathians and the Sudetes in the south. Its territory lies within the basins of two long rivers: the Vistula and the Oder. It borders on Germany to the west and the Czech Republic and Slovakia to the south, while in the east and north-east it shares borders with Ukraine and Belorussia and Lithuania, respectively. Its neighbour to the north, in turn, is the Kaliningrad Oblast, a federal subject of Russia. The largest part of the Poland’s border in the north comprises the coast of the Baltic Sea. The Baltic coast has an irregular shape and includes lakes, dunes, and bays (the Szczecin Lagoon, Puck Bay, and the mouth of the Vistula river). 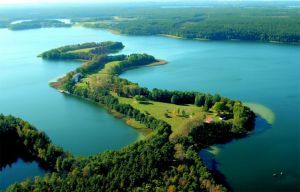 The Masurian Lake District in north-eastern Poland contains hundreds of postglacial lakes and end moraines which stretch parallel to the south coast of the Baltic. 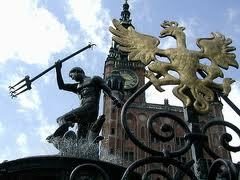 Flora and fauna of the Polish sailing regions are famous for their diversity and beauty. The coasts constitute a mating area of a variety of migratory birds. Poland lies within a temperate climate zone. In the west, it is of oceanic nature, and becomes more continental towards the east. Average temperatures in summer oscillate between 16.5 °C and 20 °C, while in winter between -6 °C and 0 °C. The average annual temperature in Poland is 7-9 °C (excluding mountainous regions). Although the sailing season lasts from the beginning of May to the end of September, it is July and August that are the warmest and driest months of the year. After the collapse of communism and political and economic transformations that followed, Poland has been developing and modernising its sailing infrastructure with such an effect that yacht charter services offered here are gradually starting to resemble those in Western Europe. Surely, it is a far cry from the standards observed in Croatia or Turkey, but every change needs some time, and even Rome was not built in a day. Sailors come mostly to the Masurian Lake District, which is the largest and most scenic inland basin in Poland. As their destination, they usually choose the regions near Mikołajki, Giżycko or Węgorzewo towns, but in fact the whole area of the Great Masurian Lakes is a paradise for all water sports enthusiasts. Open sea ports (in such towns as Świnoujście, Kołobrzeg, Ustka, Łeba and Władysławowo), as well as ports in Gdańsk and Puck Bays (Hel, Gdynia, Gdańsk, Jastarnia, and Puck) are the main sea sailing centres in Poland. Polish yacht clubs and private charter companies hold there their registered offices. The ports make a perfect place for sailing race events and a base from which to explore the Baltic, the fact appreciated by the sailors who would like to stop at the ports in Germany, Denmark, Sweden, or Finland. 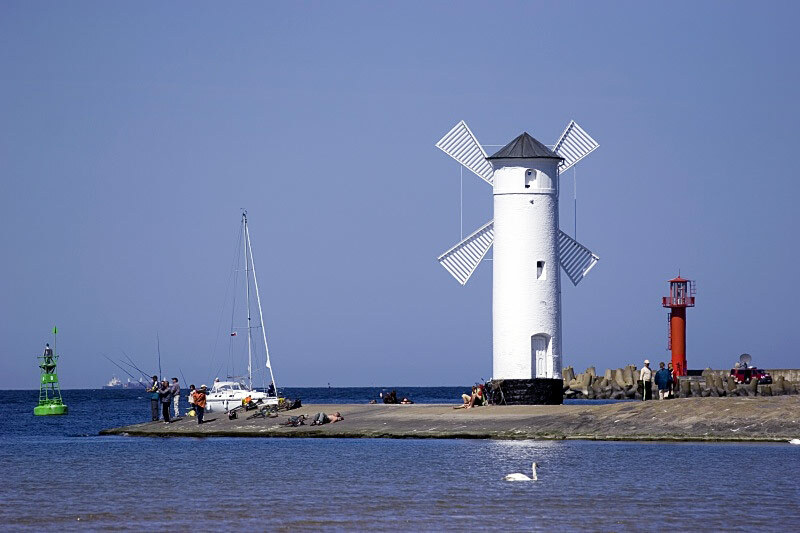 Apart from the Masurian Landlike District, the most popular yacht charter centres are situated in the cities of Gdańsk, Gdynia, Świnoujście, and the region around the mouth of the Oder River. We invite to Świnoujście, where a German shipowner has established and opened his charter base offering two 3-cabin yachts manufactured by the Bavaria Yachtbau GmbH. All boats have licences to sail in the whole Baltic Sea basin.